This cummerbund provides a three-row MOLLE mounting platform and allows the AVS™ to be configured with more components. Features our patented Skeletal™ cummerbund design. -Length can be adjusted shorter for each size. 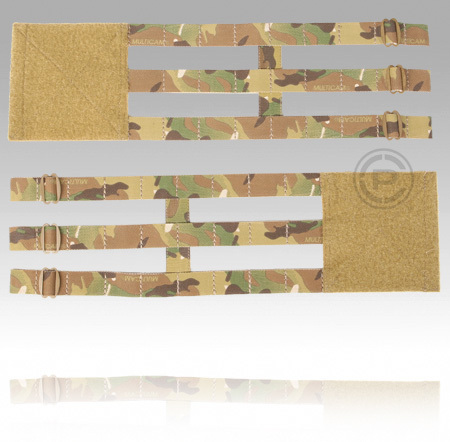 This Cummerbund is compatible with most carriers that utilize a traditional hook & loop front flap system and rear MOLLE or cummerbund pass-through channel. Some additional support or use of the tri-glides in conjunction with the shock cord may be necessary for some carriers.